Trama troglodytes adult apterae are white, yellowish-white or grey depending on age. Their antennae are about 0.5-0.6 times the body length. The terminal process of the aptera antenna is shorter than the base of the sixth antennal segment (see first micrograph below). The most distinctive character of this aphid is the elongate hind tarsus. The second segment of hind tarsus (HTII) is 0.65-0.82 times the length of the hind tibia (cf. Trama rara which has HTII 0.84-0.92 times the length of the hind tibia). Siphuncular pores are absent (cf. Trama caudata and Trama maritima which both have siphuncular pores). Their cauda is semi-circular. The body length of Trama troglodytes aptera is 2.5-3.9 mm. The Trama troglodytes alate has dark dorsal sclerites and marginal sclerites (see second picture above - it shows an alate whose wings have been chewed off by an ant). The antenna of the alate has 0-4 secondary rhinaria on segment III, 0-4 on segment IV and 0-6 on segment V. The micrographs below show dorsal and ventral views of an aptera in alcohol. 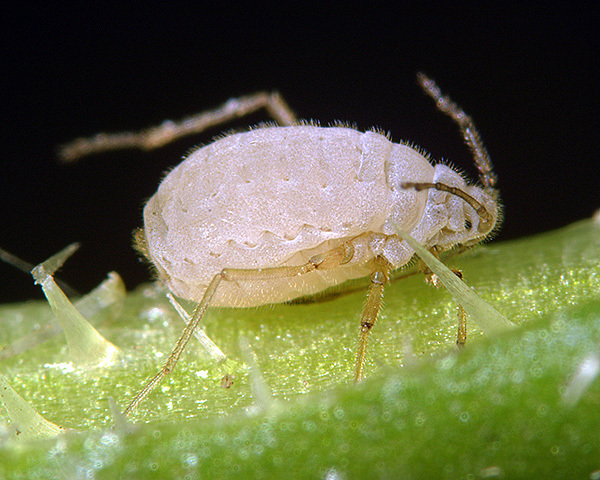 The artichoke tuber aphid lives on the roots of many Asteraceae, especially Achillea, Artemisia, Cirsium and Sonchus. They are invariably attended by ants. Trama troglodytes mainly overwinter as parthenogenetic forms, but oviparae and blind wingless males have been found in southern England. Trama troglodytes is found in Europe, west Siberia, Central Asia and Japan. Probably the best way to find root aphids is to look for signs of ant activity, especially earth tenting around the plant. Certain habitats tend to be much more productive. Paul (1977) suggested examining the roots of plants growing over rocks or concrete. Such habitats are especially attractive to ants, as are embankments of disused railways. Another good method is to uproot large plants, especially those that are wilted - infested plants tend to wilt, especially in hot weather. Depa & Wojciechowskii (2008) in a study on ant -root aphid associations found that aphids belonging to the genus Trama occur only in the xerothermal grassland which has significant amount of species of Asteraceae (Taraxacum sp., Artemisia sp., Hieracium sp.) 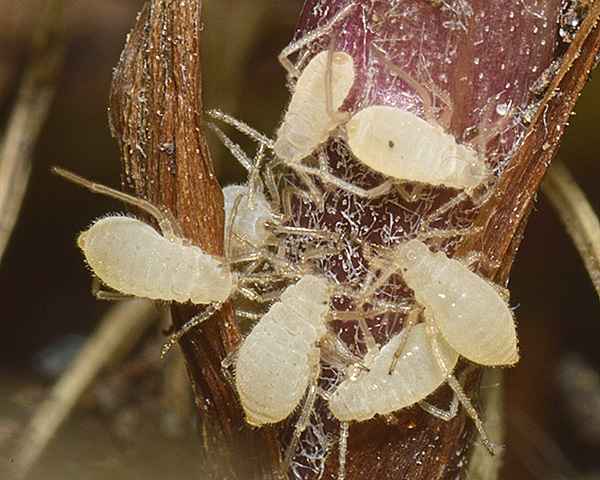 which are hosts of those aphids. Digging up this plant revealed a colony of Trama troglodytes on the roots, much like the colony on tansy roots shown below. Both apterae and alatae raise their hind legs and vibrate their elongate hind tarsi rapidly when disturbed. 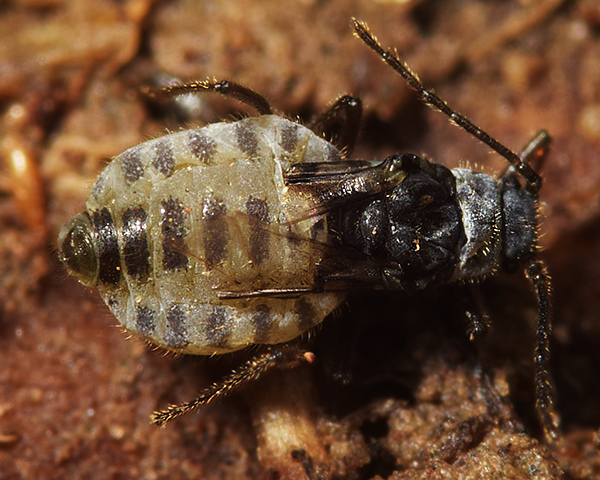 Colonies tend to be rather small (by aphid standards), and there is often only a single large adult with the colony. Trama troglodytes alates are rare, but we have found them on a couple of occasions. 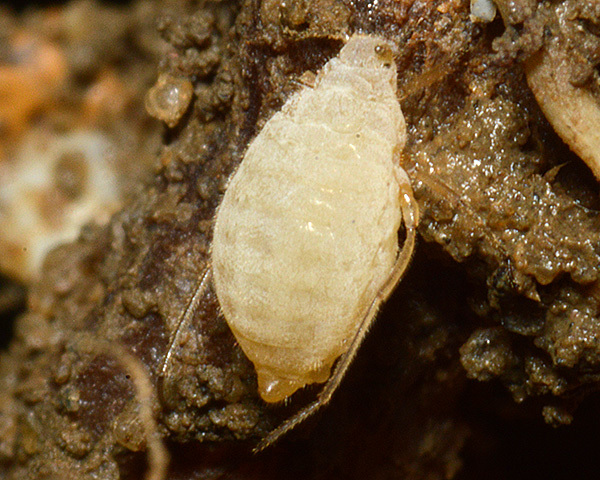 The image below shows an alatoid fourth instar nymph, destined to become an alate in the near future. Unfortunately on this occasion we were unable to rear it through to the adult stage. 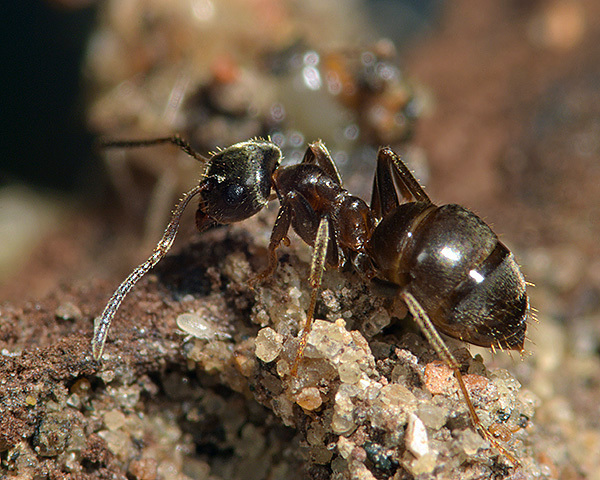 Trama troglodytes is regarded as an oblicate myrmicophile (Paul, 1977). 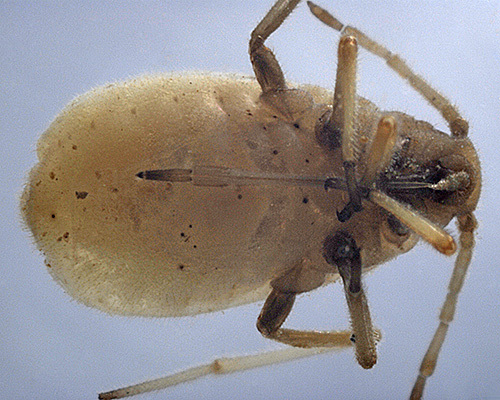 Depa & Wojciechowskii (2008) in a study on ant-root aphid associations found that Trama troglodytes was the dominant root aphid species in the nests of Lasius niger, while it occurred less often in the nests of Lasius flavus. Trama aphids vibrate their elongate hind tarsi rapidly when contacted by an ant in the same way as they do when disturbed. Trama species often occur in mixed species colonies. Blackman et al. (2001) collected mixed colonies of Trama troglodytes and Trama maritima from Church Ope Cove, Portland, Dorset. In one visit four of the six colonies collected were mixed troglodytes and maritima, the other two being pure maritima. Blackman & Eastop list 46 species of aphid as feeding on yarrow (Achillea millefolium) worldwide, and provide formal identification keys. 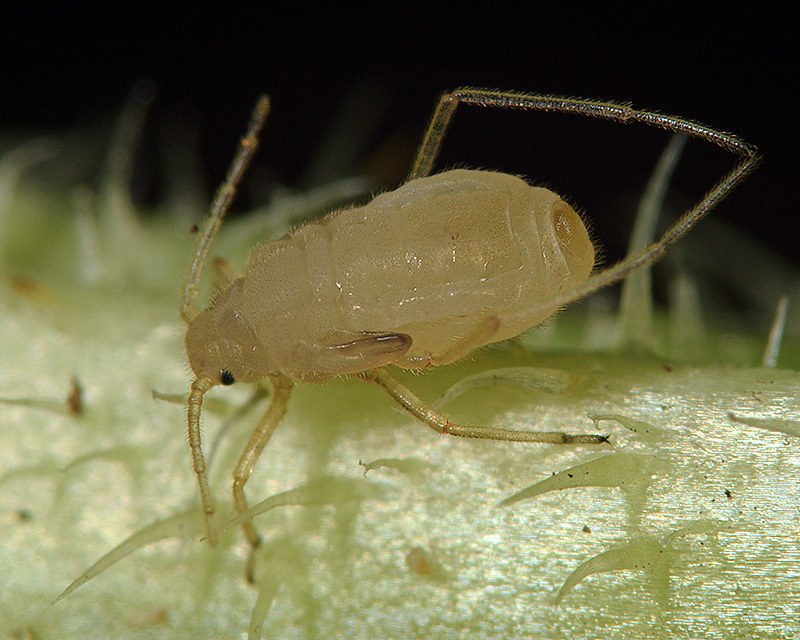 Of those aphid species, Baker (2015) lists 26 as occurring in Britain: Aphis craccivora, Aphis fabae, Aphis gossypii, Aphis vandergooti, Aulacorthum solani, Brachycaudus cardui, Brachycaudus helichrysi, Coloradoa achilleae, Macrosiphoniella abrotani, Macrosiphoniella millefolii, Macrosiphoniella ptarmicae, Macrosiphoniella sejuncta, Macrosiphoniella tanacetaria, Macrosiphoniella tapuskae, Macrosiphoniella usquertensis, Macrosiphum euphorbiae, Metopeurum fuscoviride, Microsiphum millefolii, Myzus ascalonicus, Myzus cymbalariae, Myzus ornatus, Myzus persicae, Neomyzus circumflexus, Pleotrichophorus duponti, Trama troglodytes and Uroleucon achilleae. Blackman & Eastop list 73 species of aphid (including 28 Macrosiphoniella spp.) as feeding on mugwort (Artemisia vulgaris) worldwide, and provide formal identification keys. Of those aphid species, Baker (2015) lists 25 as occurring in Britain: Aphis aurantii, Aphis fabae, Aphis gossypii, Aphis spiraecola, Aulacorthum solani, Brachycaudus cardui, Brachycaudus helichrysi, Coloradoa artemisiae, Coloradoa heinzei, Coloradoa rufomaculata, Cryptosiphum artemisiae, Macrosiphoniella abrotani, Macrosiphoniella absinthii, Macrosiphoniella artemisiae, Macrosiphoniella oblonga, Macrosiphoniella pulvera, Macrosiphoniella sanborni, Macrosiphoniella tanacetaria, Myzus ascalonicus, Myzus ornatus, Myzus persicae, Pleotrichophorus glandulosus, Protrama flavescens, Smynthurodes betae and Trama troglodytes. 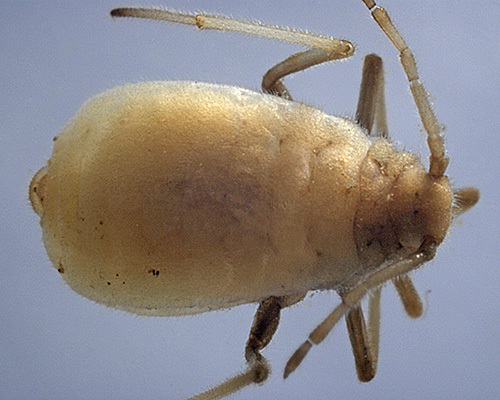 Of those aphid species, Baker (2015) lists at least 27 as occurring in Britain: Acyrthosiphon malvae, Aphis craccivora, Aphis fabae group, Aphis gossypii, Aphis solanella, Aphis spiraecola, Aulacorthum solani, Brachycaudus cardui, Brachycaudus helichrysi, Brachycaudus lateralis, Capitophorus carduinus, Capitophorus elaeagni, Capitophorus gynoxanthus, Dysaphis lappae sspp. 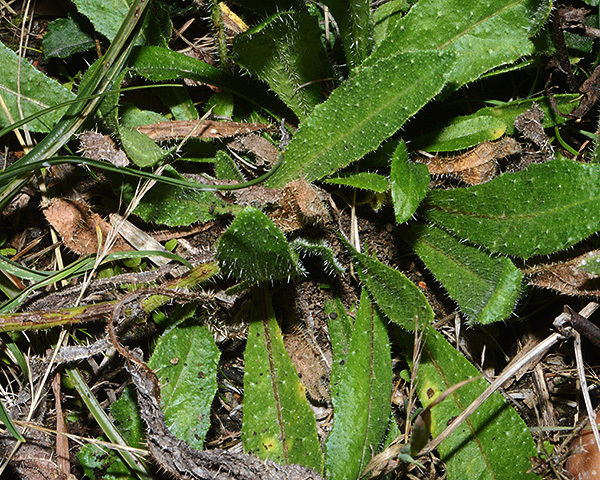 cirsii, Hyperomyzus lactucae, Macrosiphum euphorbiae, Myzus ascalonicus, Myzus cymbalariae, Myzus persicae, Nasonovia ribisnigri, Protrama radicis, Trama troglodytes, Uroleucon aeneum, Uroleucon cirsii, Uroleucon erigeronense and Uroleucon jaceae. We especially thank Alan Outen (Bedfordshire Invertebrate Group) and Bridget O'Dell for their kind assistance, and permission to sample.